Low-friction engine oil based on synthesis technology. It safely prevents deposits, features extreme shear stability, reduces friction losses in the engine and offers excellent protection against wear and tear. Ideally suited for modern gasoline and diesel engines with or without multi-valve technology, Valvetronic, exhaust-gas turbochargers and with or without diesel particulate filter (DPF) and charge air cooling. 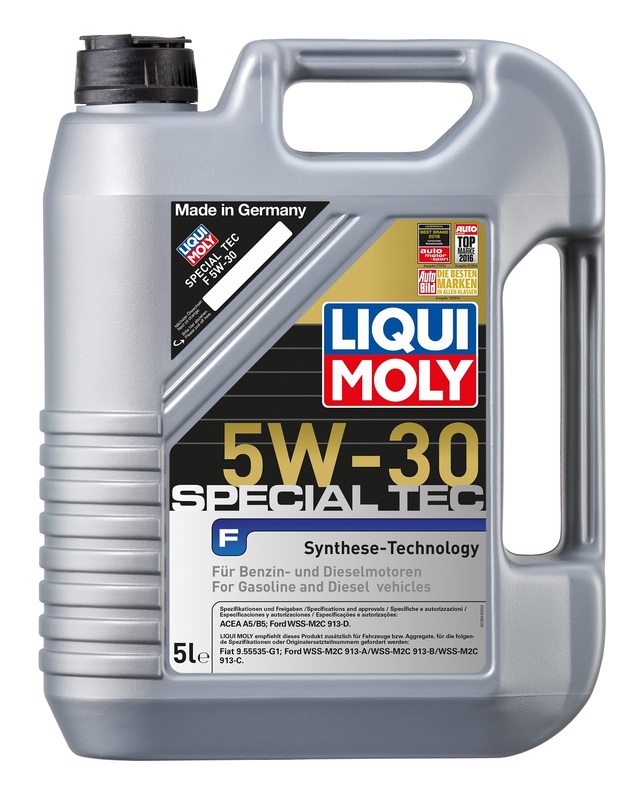 Especially recommended for long oil change intervals and high engine performance requirements. The latest Ford specification (WSS-M2C 913 C) primarily applies to various vehicle types from year of manufacture 2009. However, Leichtlauf Special F 5W-30 is backwards compatible and can be used in older Ford vehicles from 7/1998 without hesitation as well. Besides, a lubricant meeting this specification is demanded by manufacturers such as Land Rover, Rover/MG, Jaguar, Mazda and Citroen for use in different vehicle types. Not suited for VW vehicles with service interval extension!